Lara Jean keeps her love letters in a hatbox her mother gave her. They aren't love letters that anyone else wrote for her, these are ones she's written. One for every boy she's ever loved—five in all. When she writes, she can pour out her heart and soul and say all the things she would never say in real life, because her letters are for her eyes only. 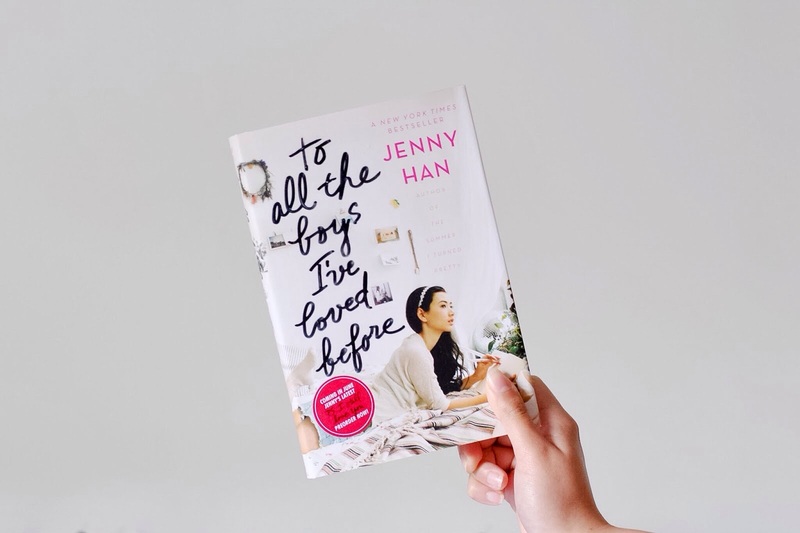 Until the day her secret letters are mailed, and suddenly Lara Jean's love life goes from imaginary to out of control. this is my very first book review, so please bear with me…. i was a little bit late in reading the duology (only read both books like a week ago) but ive heard loads of people rave about it so i decided that i might as well give it a try! 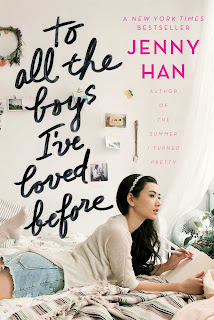 this was my very first jenny han book and in all honestly, i ADORED it. it was a light read and was something i needed at the time. 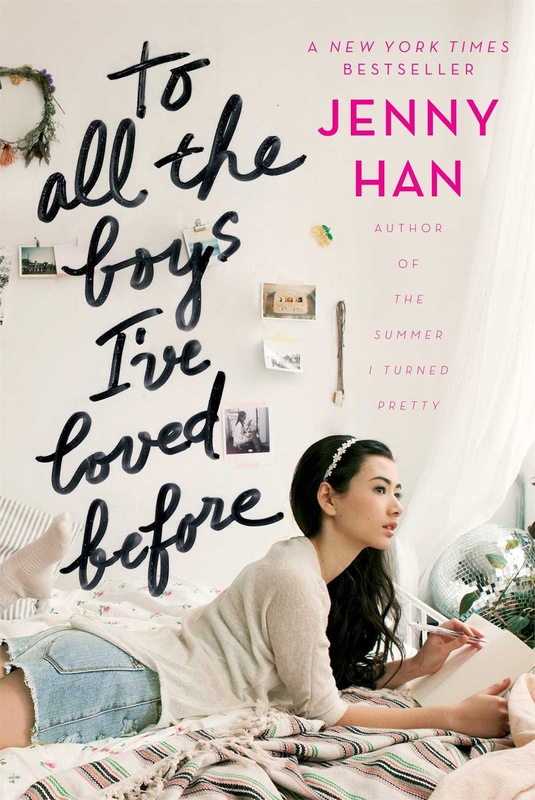 “to all the boys ive loved before” is narrated by lara jean song, a sixteen year-old who lives with her dad and her two sisters. you might get the impression that it's about someone's secret crushes becoming not-so-secret anymore after her love letters get sent out but it's actually more about family dynamic, sisterhood and experiencing love for the first time. the book cover is so pretty. it has a pastel and rosey vibe that would instantly catch someone's eye. lara jean is someone i would want to be, or be friends with at least. i wanted to immerse myself in the cover and live her life. she is dreamy eyed, funny, quirky and is just easy relate to. i loved her wardrobe, how she loves baking and her bond with her older sister margo and her sassy little sister kitty. peter kavinsky. oh god where do i even start. i loved him so much. but if i was to be honest, i didn't /automatically/ liked him. i asked myself, why peter?? peter who was over-confident, vain and just seemed like your typical douche in high school. but in the course of the book, you wouldn't be able to resist his charm. he's funny, handsome and more than he lets everyone see. peter was one lara jean’s childhood friends and just so happens to be her first kiss! so who knows feelings may still linger and sparks may fly. this book is far from perfect (as everyone would say), but it's easy to ignore the little flaws because the book is so fun and cute and it's just hard not to adore lara jean’s family. i just want to hug all of them! I also was drawn to this one due to the cover but I'm glad to hear that the inside is just as good! You can always use more fun, light reads. I'll have to check this one out soon!